Ever since we started the company, we have progressively built its reputation as one of the best air conditioning companies in Table View, as a result of the knowledgeable, experienced and professional team that we have and the quality products that we offer. From air con supply to repair and servicing, we are the contractors for the job. 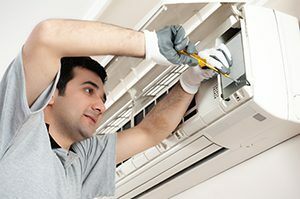 With more than 3 decades of industry experience in air conditioning Table View and surrounding area, we have the expert knowledge in the supply and connection of units for all kinds of properties. Over the duration of time we have been in this business, we have reliably delivered and fitted numerous heating and cooling units. We have joined hands with the best suppliers to provide high-quality products from top manufacturers. As accredited air con contractors, our team of technicians prides itself in offering reliable maintenance services and thus ensuring your product’s longevity and efficiency. We comprehend that our customers have varying requirements when it comes to picking the best air conditioner for their residential, commercial or industrial property. As a result, our expert team is always available to assist you make the right choice as per your needs. Contact us to request for a price quote and for more information on 087 551 0627 at any day of the week.